Black Friday is almost as traditional as turkey and pumpkin pie, but retailers this year aren't waiting until the Friday after Thanksgiving to bring out some big deals. "We've talked about Christmas creep in years prior but it's really getting longer and longer," said Trae Bridge with RetailMeNot.com. And this year, consumers won’t have to wait until Black Friday. Walmart will be opening its doors on Thanksgiving Thursday at 8:00 p.m. It's not just retailers getting a jump on Christmas. A new poll found that 40 percent of consumers started their shopping weeks ago, with only 12 percent waiting for Black Friday. Chicago-based BlackFriday.com already has ads from more than 40 retailers. 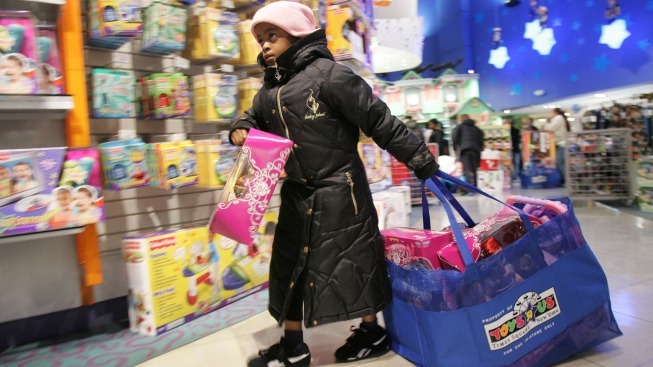 "In 2009, when we launched our Black Friday service, we didn't even launch it until Nov. 5. If we'd have done that this year we'd have missed half the news and half the people," said Brad Wilson with BradsDeals.com.